St. Andrew´s University, the English name of Momoyama Gakuin University, is taken from the name of St. Andrew, one of the Twelve Disciples of Christ. 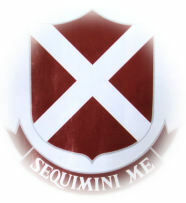 The Latin motto SEQUIMINI ME (Follow me) were the words said to have been spoken by Jesus Christ, a call which Andrew obeyed. St. Andrew, though suffering cruelly as a result of the oppression that early Christianity was subjected to, continued to preach love and freedom. The St. Andrew´s cross featured on the University crest is the expression of our educational philosophy upholding St. Andrew´s spirit of love for humanity.